April 4th will mark the 2 year anniversary of Roger Ebert's death. His passing was mourned across the whole world, and came as we were just a few months into production on Life Itself. In "Memories of Roger: My Photo Journal from the Last Two Years," a most wonderful and moving new public letter to her husband, Chaz Ebert presents an annotated photo gallery of the journey she took in the months since his death, including the trajectory of this film. We feel deeply honored to have been a small part of this inspiring eternal love story, and urge everyone to read her post. For those of you who are still yet to see Life Itself, or want to see it again, the film is now available on Netflix worldwide, along with DVD, Blu-Ray and digital download. We're very grateful for the many messages of praise we continue to get from viewers around the world who have just experienced the film. Thank you! The big day has finally arrived: Life Itself is out on blu-ray and dvd starting Tuesday, February 17th! It is available for digital download on all major online platforms, including Amazon, iTunes, Youtube, and Google Play. Purchase Life Itself directly from Kartemquin Films through our online store and receive 15% off your purchase through the end of February by using the code Ebertmovie2015 ! It's been quite a ride since our world premiere at the Sundance Film Festival a little over a year ago (check out a recap of that emotional day here), and since then Life Itself has screened to wide acclaim at festivals worldwide including Cannes, Sheffield Doc/Fest, Telluride, and AFI Docs. In July 2014 it embarked on a successful theatrical run, and last year was named the best documentary of the year by over a dozen critics associations, and also received the Golden Tomato Award from Rotten Tomatoes as the best reviewed documentary of 2014. It also was awarded best by The Critic’s Choice Awards, The National Board of Review, and The Producers Guild of America. The DVD, blu-ray, and digital release are packed with extras, including an interview with director Steve James, deleted scenes, the featurettes “AXS TV: A look at Life Itself” and “Sundance Tribute,” and a theatrical trailer. You can check out a full rundown of the deleted scenes at RogerEbert.com. CNN presents an encore broadcast of Life Itself, our award-winning documentary on Roger Ebert, this Sunday, January 25th at 8pm ET. The repeat broadcast comes just over a week after a bittersweet, busy time for the film, as the hugely successful first CNN broadcast was followed by the film missing out on an Academy Award nomination for Best Documentary, much to the surprise, heartbreak and dismay of many, while on the same day being honored as the Best Documentary of the year at the Critics' Choice Awards. "Yesterday in Los Angeles... we didn't get an Oscar nomination, but we did get the honor of being named Best Documentary of the year at the Critics' Choice Awards. In between that low and high, Chaz, Judy and I were having breakfast at the Roosevelt Hotel in Hollywood where we were all staying because of the Critics' Choice Awards. While we sat and commiserated over the nominations, and laughed some too about the insanity of it all, we thought about how lucky we are. And then realizing that we were literally a block away from Roger's star, Judy suggested we go down and see it, especially today of all days, and take a picture. Thanks everyone for all the support you've given this film!" "Working with Steve James, one of our finest documentary filmmakers, and our team to make “Life Itself” has been one of the most gratifying experiences I could ever hope for. I am deeply moved by the hard work and dedication they devoted to every aspect of the filmmaking process. One of our objectives was to make a film that allowed the viewer to get to know Roger and his relationship to the film industry, and to life itself, in an intimate and meaningful way. I think we accomplished that, and I know that Roger would have been pleased with the outcome, and that makes me happy. The film seemed to touch the hearts and minds of so many. “Life Itself” is about the strength of the human heart. The profound and emotional depth one feels when experiencing the movie is possible because of the beautiful filmmaking." Recognized as the "best reviewed documentary of 2014" -- and the second best reviewed limited-release movie of the year overall -- Life Itself has already been richly rewarded in this year’s awards season, with the greatest honor of all for the filmmakers being the wonderful response of the many fans the film has gained since it first world premiered at Sundance Film Festival and simultaneously online to Indiegogo backers one year ago. Another award just came in for the film this Saturday, January 24th: the Producers Guild Award for Best Documentary. We are delighted to receive this prestigious honor! Accepting the prize last night, Steve James quipped: "I've been a member of the Academy for seven or eight years now. I think I want to join the PGA..."
We are deeply honored to have been nominated for the following awards; to be considered and included among such stellar company is a win in and of itself! Thank you to everyone who has seen the film for supporting Life Itself over the course of our journey this past year. Really a shame #LifeItself @EbertMovie was not nominated. But those of us who have seen it are the lucky ones. We have all been awarded. Our CNN world television premiere was, simply put, a magical night. Thank you to everyone who tuned into the broadcast, and made it the #1 rated cable news program of the night! We've recapped the entire premiere, which you can enjoy below. Thank you again! CNN Premiere Tonight at 9pm & 11pm ET! Plus: "Lessons from Roger: The Best of #EbertChat"
Tune into CNN for our world television premiere tonight (Sunday, January 4) at 9pm ET, with an encore airing at 11pm ET! Chaz Ebert will be live tweeting throughout the premiere from @ChazEbert and @Ebertchicago. You can also check in with us on Twitter @Ebertmovie! Click here to visit the CNN website and learn more about tonight's broadcast. Roger Ebert had an immense impact on whole generations of filmgoers. 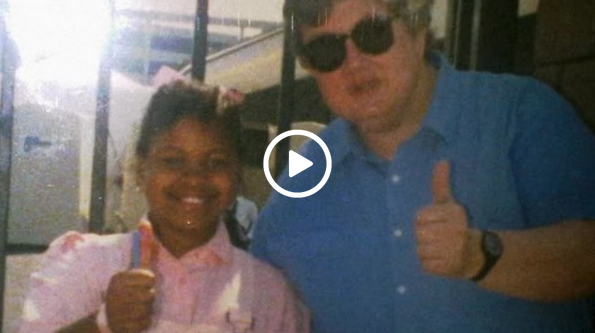 Collected from our popular series #EbertChat -- which included film critics and filmmakers like Golden-Globe nominated director Ava DuVernay, film critics Scott Weinberg and Christy Lemire, and RogerEbert.com editor Matt Zoller-Seitz -- here are our guest hosts discussing Roger, his writing, and his influence on how they look at the movies! Life Itself Named the 'Best Documentary of 2014' by the National Board of Review! Today The National Board of Review released their year's end list of film awards, and we are proud and honored to announce that Life Itself has been selected as the Best Documentary of 2014! Our heartfelt thanks to the National Board of Review for this incredible distinction. You can view the entire list of films honored here. The Producers Guild of America has named Life Itself as one of the nominees for this year's best documentary theatrical motion picture. We are thrilled and honored to be considered for this year's award. The 26th annual Producers Guild Awards will take place on Saturday, January 24, 2014 in Los Angeles, CA at the Hyatt Regency Century Plaza. The official PGA press release, including the entire list of this year's nominees, is available here. You can also read The Hollywood Reporter's writeup on this year's nominations for more information.